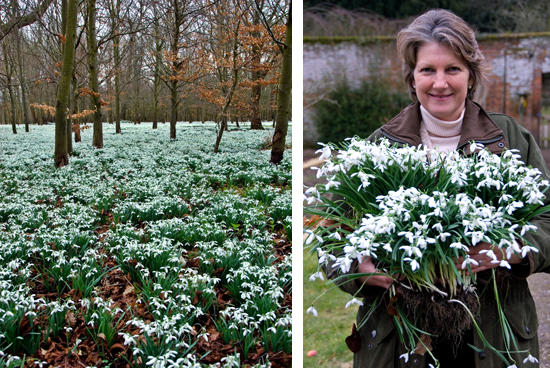 Welford park; snowdrops are divided at Welford Park, but not quite as you would expect. The expansive Beech woodland abounds with an extensive thick snow-white February carpet, woven together as one, common snowdrops, both singles and doubles, Galanthus nivalis. Whilst in the confines of her walled garden Deborah an enthusiastic and energetic gardener secretes her most treasured, isolated gems to be admired in singular solitude.